WHAT DO TAHITIANS WEAR WHEN THEY ARE DANCING? Hula shows in Kaanapali sometimes feature Tahitian dancing but the dancers don’t often look like these. 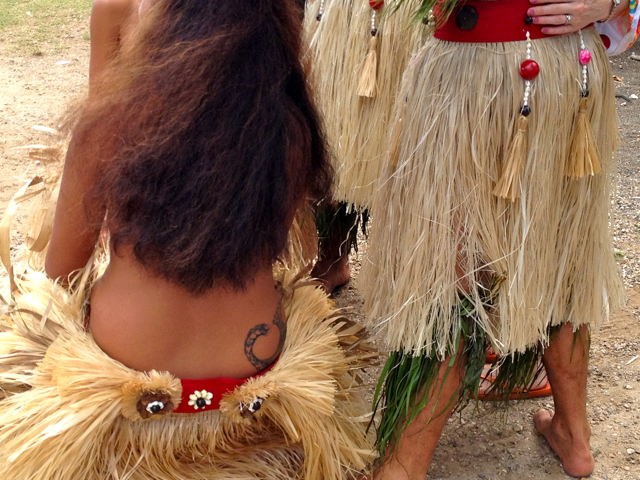 These Tahitian from Bora Bora wear real grass skirts and tattoos. Tahitians are believed to have settle on Maui around 800 A.D. and initiated the alli system. VOICES OF MAUI TALK STORY PHOTO, MAY 2014. Yesterday’s blog, Swans on Vacation, had 200 views, a recent record.